As we alluded to earlier briefly, this weekend will see the return to Ibrox of one Michael O’Halloran esquire, a St Johnstone winger whose spell in Govan really was one of the strangest, most curious and in places downright toxic times a player has had at any Scottish club in recent years. When Rangers were destroyed by he and Tommy Wright in September of 2015, Mark Warburton’s interest emerged – Ibrox Noise brought that one to you the following month, and it was with good reason – this was a potent attacker who had nailed Rangers’ defence and made the previously ‘amazing’ Warburton machine look palpably ordinary. He’s now back in the SPL with St Johnstone, and their arrival at Ibrox this weekend is one of the most intriguing returns to Rangers for an ex-player we can remember in some time. How will the crowd react? 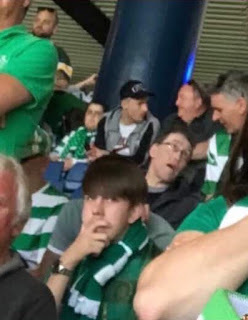 MOH made a gaffe or two – being caught in the Celtic end, not showing up for a reserve match – but we don’t see him as a bad guy. Maybe a bit silly, maybe not the best disciplined when he’s not in favour, but there isn’t a lot of doubt the boy has ability. But we don’t expect the most volatile atmosphere for him. He may be booed panto-villain style for a while but afterwards probably not. Rangers fans best remember MOH, along with quite a few of his team mates, is out to prove Rangers were wrong not to give him a bigger chance – regardless of his allegiances to Celtic, the boy got his big move to Scotland’s biggest club and it just didn’t work out – he will bust a gut to make a point this weekend. Rangers, of course, should have too much for St Johnstone as a whole – Tommy Wright’s men are on a horrible run of form and Rangers haven’t lost for six matches. 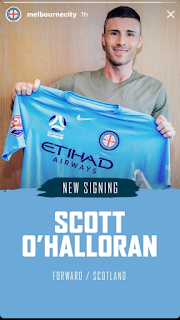 But O’Halloran is a soap opera in among himself. Like you say wasn't really given a fair run. Nothing against the lad. We're not Aberdeen. Ryan Jack, still gets abuse to this present day. We're better, than that. Good luck to MOH. We're not Aberdeen - did you see Bluebears post Joe?